Every fall, North Carolina’s wild spaces blush with vivid seasonal colors, beginning in the state’s high peaks and spreading slowly across the lowlands to finally reach the Atlantic Coast. One of the best ways to soak up the vibrant fall foliage is to spend a night under the stars, reveling in the welcome arrival of crisply cool autumn temperatures. Fortunately, North Carolina is peppered with plenty of wilderness-enveloped campgrounds, from the Great Smokies to the state’s Atlantic shores. North Carolina’s 252-mile portion of the Blue Ridge Parkway is one of the most colorful leaf-peeping portals in the country. The lofty peaks lining the roadway are also the first places in the state to flush with autumn color, making for a dramatic fall palette. Along North Carolina’s section of the parkway you’ll find five scenic seasonal campgrounds, but there are several standout gems (all open from May through October). At milepost 297, the Julian Price Campground features a handful of sites scattered along the shores of Price Lake (if possible, try to snag one on the A Loop). The gentle, 2.7-mile Price Lake Trail also weaves through the campground and rings the lake, providing plenty of scenic, waterside photo ops. Farther down the road, at milepost 408.8, the Mount Pisgah Campground is the loftiest of the camping areas lining the Blue Ridge Parkway, offering campsites located at 4,980 feet. Besides the alpine aesthetic, the campground also serves an entryway to a plethora of recreational opportunities in the Pisgah National Forest. 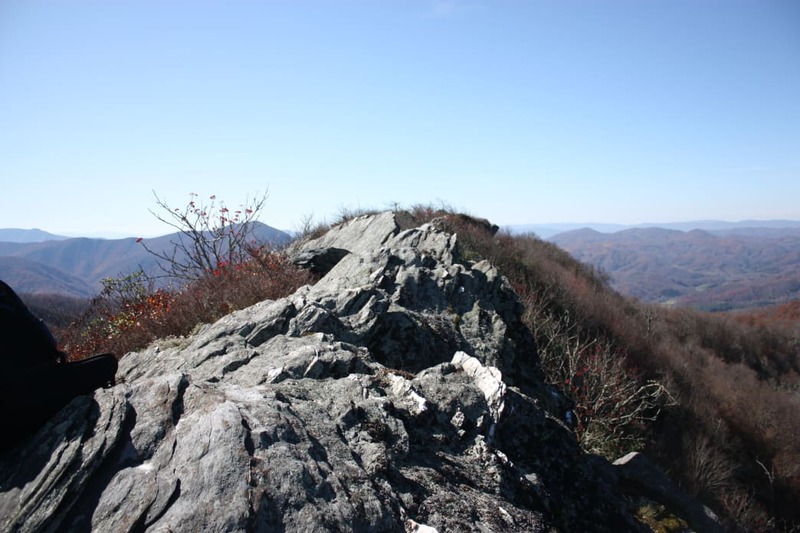 It’s the perfect jumping off point for the 1.4-mile hike to the summit of 5,721-foot Mount Pisgah, where you’ll have views of the Hickory Nut, Great Craggy, Black and Great Balsam mountains chains. Camp in the Uwharrie National Forest. In the central part of the state, the Uwharrie Mountains may not rise to the heights of the state’s other massifs, but the ancient, forest-tufted cordillera still offers a stunning seasonal display. 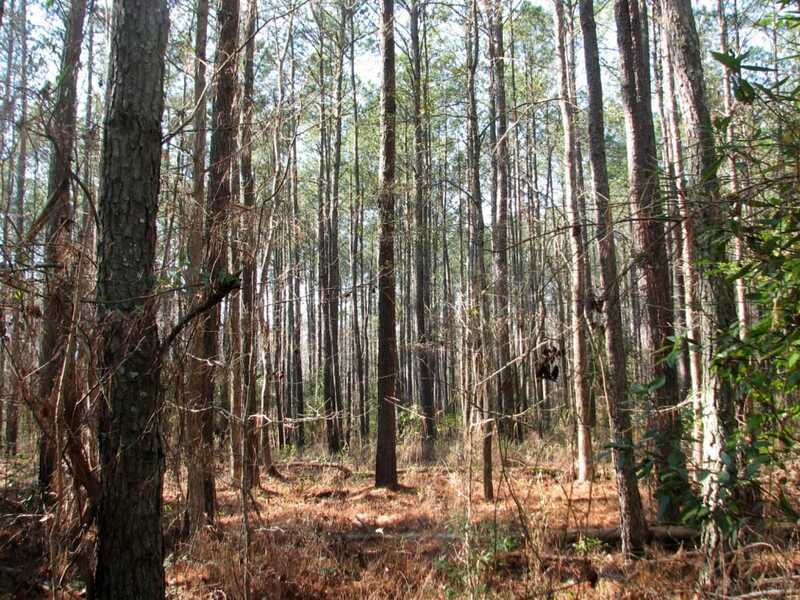 The 51,000-acre Uwharrie National Forest features an extensive trail system, including the 20-mile Uwharrie National Recreation Trail and the 11-mile Dutchman’s Creek Trail, a route scattered with relics of the area’s previous inhabitants, including abandoned home sites, gold mines, and cemeteries—all perfect fodder for evening tales around the campfire. The national forest’s year-round Badin Lake Campground offers 34 non-electric sites spread along the edge of Badin Lake, all with picnic tables, grills, and fire rings. Plus, the waterside camping area is also bisected by the 1.1-mile Badin Lake Trail, which is an easy leg-stretcher. Scattered over the 24,470-acre Cape Hatteras National Seashore there are four different oceanside campgrounds. For campers eager to use fall as the final chance to flirt with the all-too-fleeting days of summer, there’s Cape Hatteras National Seashore. Thankfully, throughout the autumn the sun-saturated sand remains toasty, and water temperatures are still tolerable for swimming until almost Thanksgiving. Best of all, the throngs of summer visitors have long departed, leaving the national seashore’s pristine beaches virtually empty. 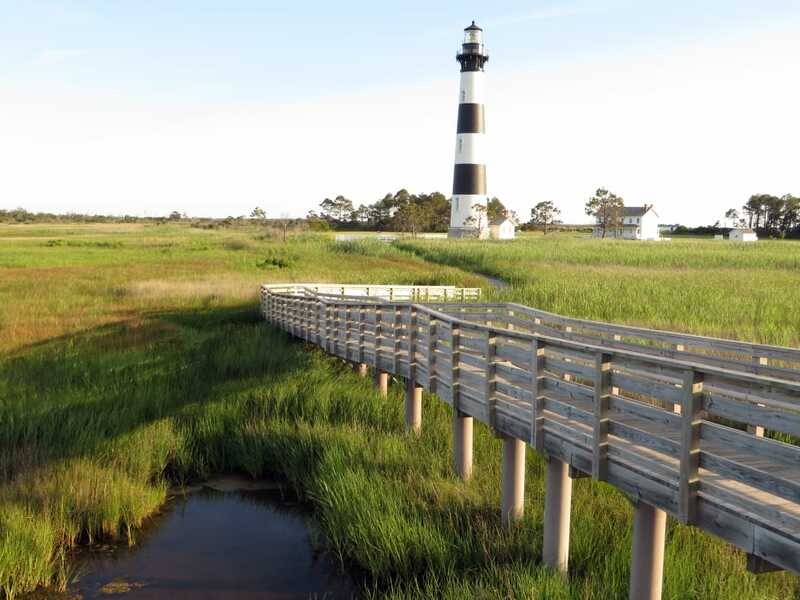 Take advantage of the lack of tourists and visit iconic local landmarks like the Cape Hatteras and Bodie lighthouses. Then, be sure to head to the Pea Island National Wildlife Refuge to watch the flocks of migratory ducks, geese, and tundra swans descend on the protected area. Each year in October and December, the Wings Over Water Wildlife Festival celebrates the birds’ autumn arrival. Scattered over the 24,470-acre Cape Hatteras National Seashore there are four different oceanside campgrounds (open from April to late November), and the Frisco Campground, located between Frisco and Buxton, allows campers to set up tents amongst the sandy dunes. 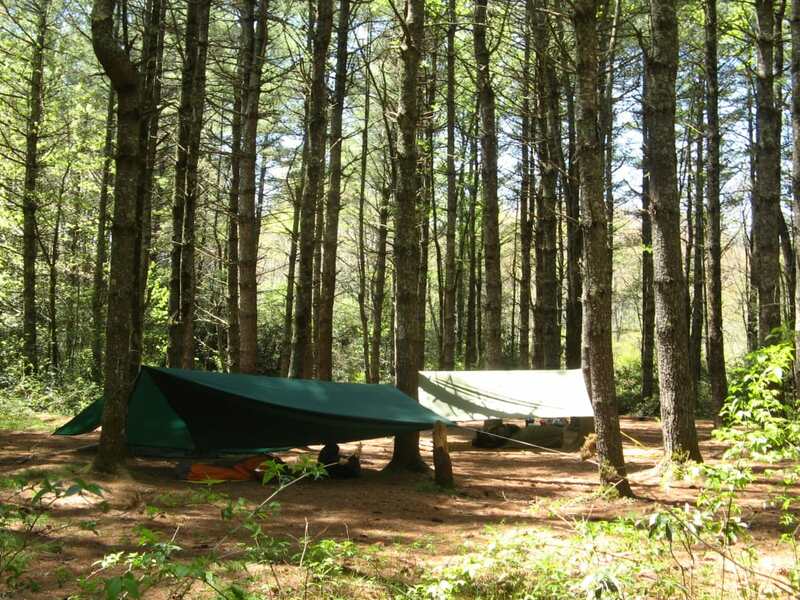 Camp in North Carolina’s Panthertown Valley, a rugged, 6,295-acre portion of the Nantahala National Forest. Foliage seekers also jonesing for some backcountry solitude can head for western North Carolina’s Panthertown Valley, a rugged, 6,295-acre portion of the Nantahala National Forest punctuated with secluded waterfalls and 4,000-foot peaks. Although the namesake panthers no longer prowl the sylvan wilderness dubbed the Yosemite of the East, backpackers have the opportunity to spot resident black bears, bobcats, coyotes, and hellbenders—outsized salamanders that grow to nearly 2 feet in length. The U.S. Forest Service and non-profit Friends of Panthertown maintain nearly 30 miles of trails in the backcountry area, providing plenty of options for loops and out-and-back trips. While Panthertown treats visitors with a crowd-free escape, it’s also easy to get turned around in the leafy wilderness, so it’s essentIal to bring A map like Burt Kornegay’s A Guide’s Guide to Panthertown. The Davidson river flows alongside Davidson River Campground. The Pisgah National Forest is home to some of the Southeast’s most stunning scenery. Divided into three ranger districts, the 500,000-acre forest offers everything from rushing whitewater rivers to towering summits, including Mount Mitchell (6,684 feet), the loftiest peak east of the Mississippi. The Pisgah Ranger District is home to some of the national forest’s most beloved attractions and best fall vantage points. For instance, there’s the treeless summit of Black Balsam Knob, rising 6,215 feet above the Shining Rock Wilderness and boasting color-drenched, 360-degree views which include the Great Smokies, Cold Mountain, and the closely concentrated crests of the Mount Mitchell range. Grab one of the year-round campsites in the Davidson River Recreation Area, offering access to the 30-mile Art Loeb Trail. 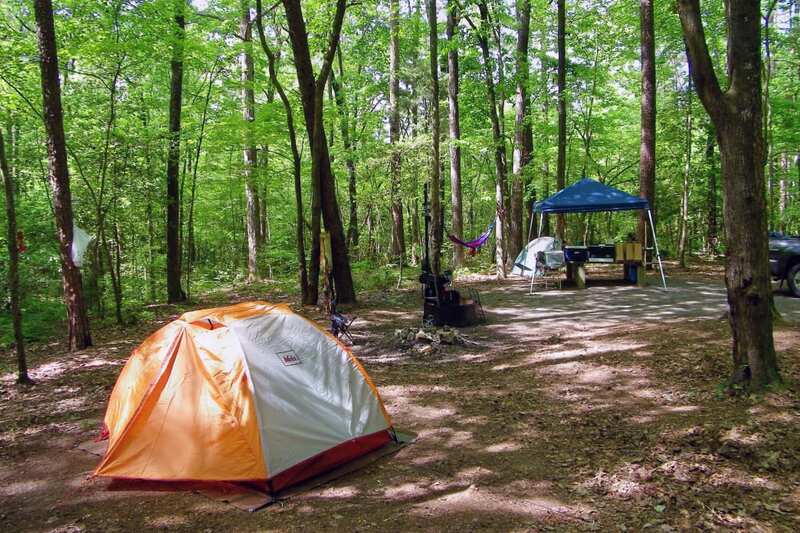 Or, opt for one of over a dozen leafy roadside campsites scattered along Forest Road 1206, also referred to as Yellow Gap Road, which connects the Davidson River Recreation Area with the North Mills River Recreation Area. Written by Malee Baker Oot for RootsRated Media in partnership with OrthoCarolina. Autumn is that seasonal sweet spot between the balmy, bug-bitten days of summer and the frigid frost of winter, a time when fiery foliage makes outdoor excursions even more alluring. 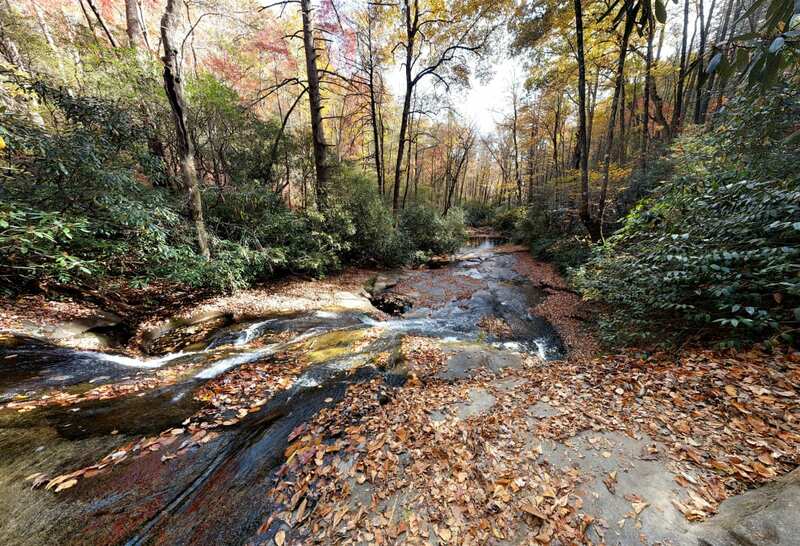 While leaf-peepers from all over the East Coast flock to the mountains, forests, and waterways of North Carolina, some of the state’s most stunning natural spaces remain nearly devoid of visitors. This fall, soak up North Carolina’s stunning seasonal color in the state’s overlooked wild places. The 10 miles of hiking trails are an excellent way to explore Medoc Mountain State Park. Just outside the town of Hollister, Medoc Mountain State Park is an inviting but inexplicably often ignored autumn retreat. 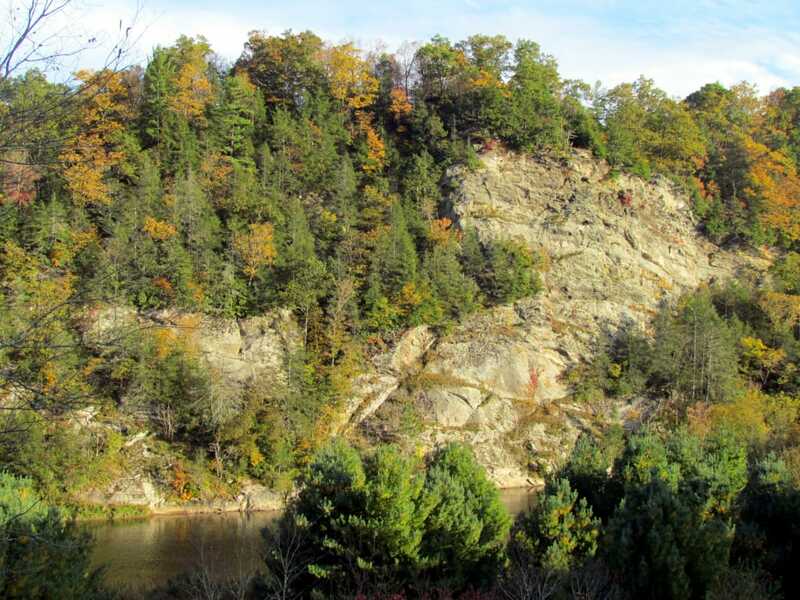 Laced with 10-miles of hiking trails, the park offers everything from gentle, streamside rambles to more rugged loops over the park’s rocky bluffs. Take to the placid waters of Fishing Creek or bring a picnic and set up shop for the day in the midst of the park’s sprawling, fall-color-tinged meadow. Falls Lake State Park offers excellent hiking, paddling, and mountain bike opportunities. 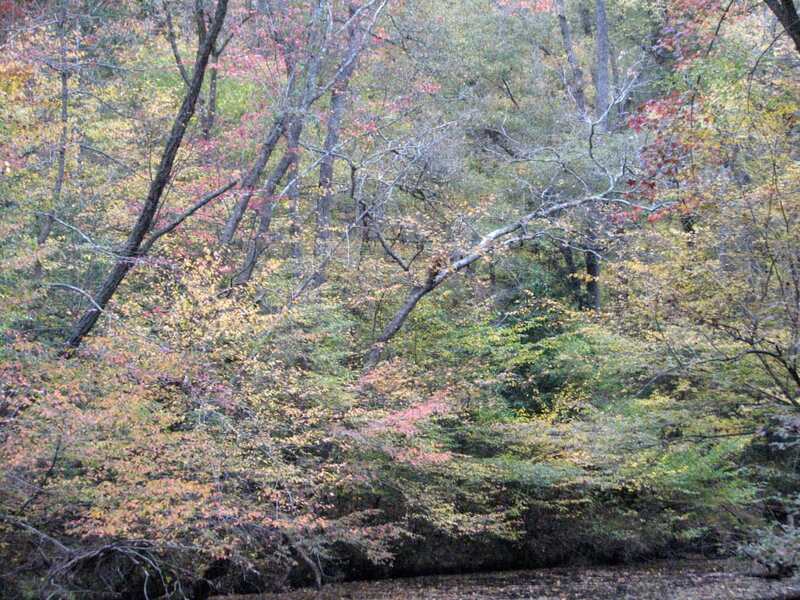 Enjoy autumn colors at one of the state’s most unique outdoor spaces, Falls Lake State Recreation Area in Wake Forest. A veritable paddler’s paradise, the recreation area actually consists of a series of access sites dotting the forest-fringed fingers of a massive 12,000-acre reservoir. Beyond the water, many of the access points also feature campsites, mountain biking trails and hiking trails, including an extensive segment of the Mountain-to-Sea Trail, which hugs the lake’s southern shore. 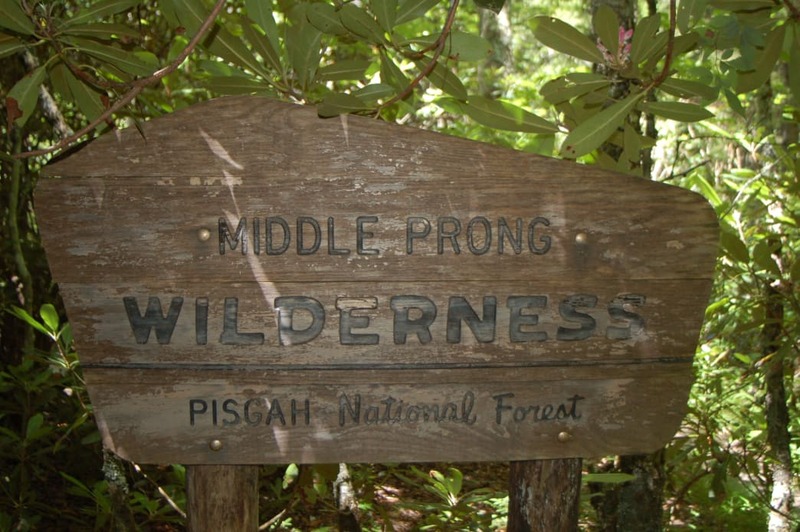 The Middle Prong Wilderness is one of the least visited parts of the Pisgah National Forest. Tucked away in the massive Pisgah National Forest, the Middle Prong Wilderness is one of the vast recreation area’s most rugged and least-visited corners. The 7,900-acre wilderness located near Asheville is loaded with challenging terrain dominated by high peaks, precipitous drop-offs, and craggy ridgelines. For real solitude seekers, Middle Prong Wilderness is managed to show minimal signs of human impact. While there are ample hiking options, including access to the Mountains-to-Sea Trail, signage is minimal, so plan on using those well-honed navigational skills. New River State Park features both hike-in and paddle-in campsites. One of the state’s wildest parks, New River Park showcases one of North Carolina’s most stunning waterways. Distinguished as a National Scenic River four decades ago, the New River flows past some of the state’s most dramatic, mountain-loaded landscapes. The park features a handful of hiking trails, but the real highlight is the mighty river itself. The state park is also loaded with pristine backcountry retreats, offering an array of primitive hike-in and paddle-in campsites spread throughout the 750-acre recreation area. 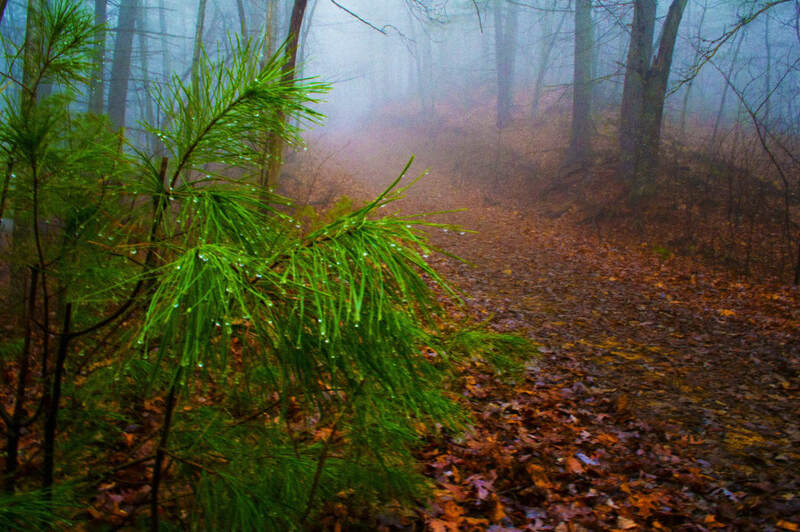 A misty morning in South Mountain State Park. Clinging to the Jacob Fork River, South Mountain State Park is a blissful escape for backpackers. There are 50-miles of sylvan trails, trout-loaded steams, and dispersed backcountry campsites to explore. Besides just hiking, the park also boasts 18 miles of mountain biking trails and 33 miles of bridle trails. High Shoal Falls’ tumbling, 80-foot cascade is a beautiful waterfall that is especially alluring when framed by autumn’s palette of burning colors. Merchants Millpond features excellent paddling. Foliage-seeking shutterbugs will relish in Merchants Millpond’s photogenic potential. The tannin-tinged backwater makes for a stunning backdrop of iconic fall portraits. Aside from just aesthetics, hikers can enjoy the state park’s 9-miles of trails while paddlers can explore Merchants Millpond from the water. For a longer getaway, the park also offers family-style campgrounds, backcountry tent sites, and even a few rustic paddle-in campsites. 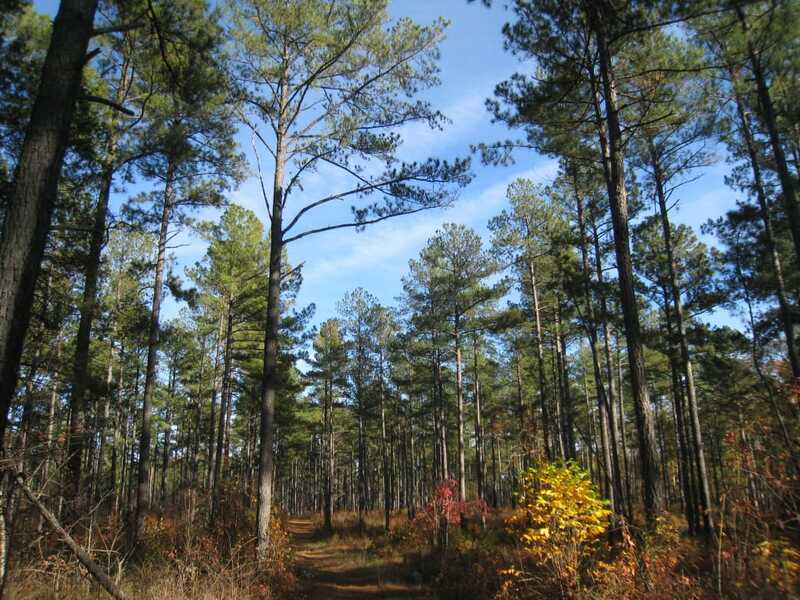 Uwharrie National Forest features some of the oldest mountains on the continent. A little more than an hour's drive from Charlotte and Greensboro, the Uwharrie National Forest harbors seemingly untouched backcountry and some of the oldest mountains on the continent. 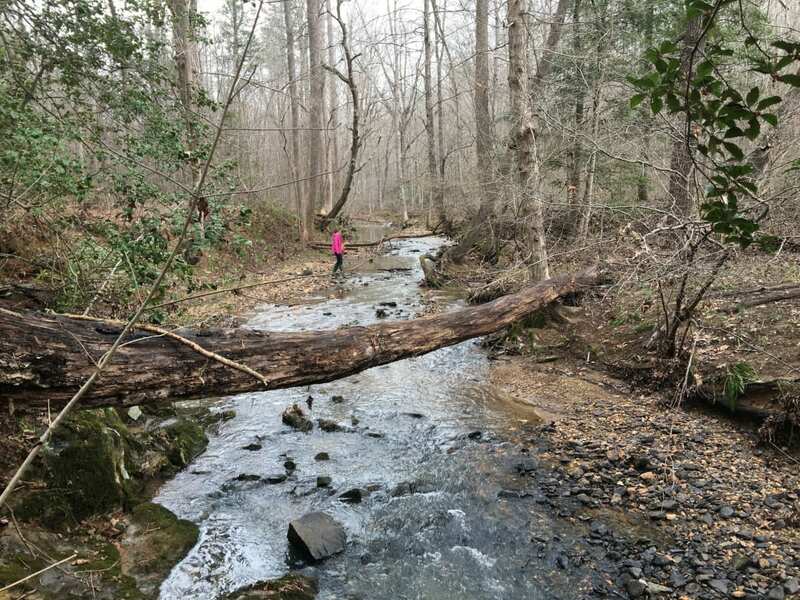 The 51-acre national forest is also traversed by nearly 70 miles of trails, including two extensive routes perfect for color-loaded fall backpacking trips: the 10-mile Dutchman’s Creek and 20-mile Uwharrie Trail. Beyond the potential for backcountry forays, the national forest also boasts a bounty of scenic lakeside campsites at the Badin Lake Campground. Alligator River National Wildlife Refuge is filled with birds and other wildlife to see, including black bears and a small population of red wolves. Fall is still prime paddling season along North Carolina’s coast and the Alligator River National Wildlife Refuge has an abundance of options to suit any skill level. Fringed by the Alligator River and the Albemarle, Croatan, and Pamlico sounds, this wildlife refuge includes more than 15 miles of well-marked paddling trails plus plenty of terrestrial trails and bike-able public access roads. The mammoth refuge is also one of the state’s most unique wildlife areas. This sanctuary harbors more than 200 different birds, a booming black bear population, and most notably, a small population of endangered red wolves, reintroduced from captivity in the late 1980s. A hike at Three Top Mountain can take you to elevations 4,800 feet above sea level. Managed by the Nature Conservancy, Three Top Mountain in the North Carolina High Country is still off the radar of many weekend warriors. Named for the three distinctive rock outcroppings dominating the protected area, Three Top Mountain is loaded with seasonal color, in large part, due to the preserve’s unique geological composition. This includes amphibolite bedrock, rarely found in regional ecosystems. The 2,308-acre preserve’s high country hiking trails still feel undiscovered and include gritty climbs to elevations of 4,800 feet above sea level. 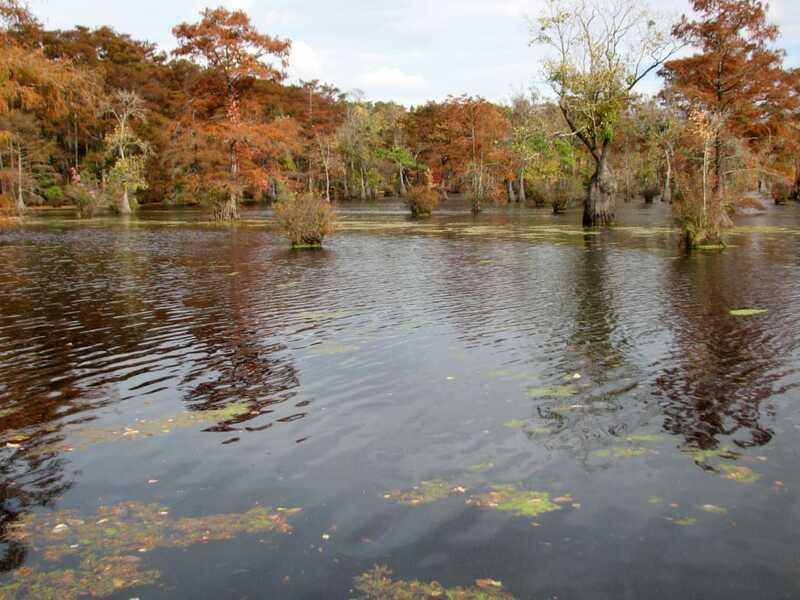 Explore the coastal ecosystems at Goose Creek State Park. 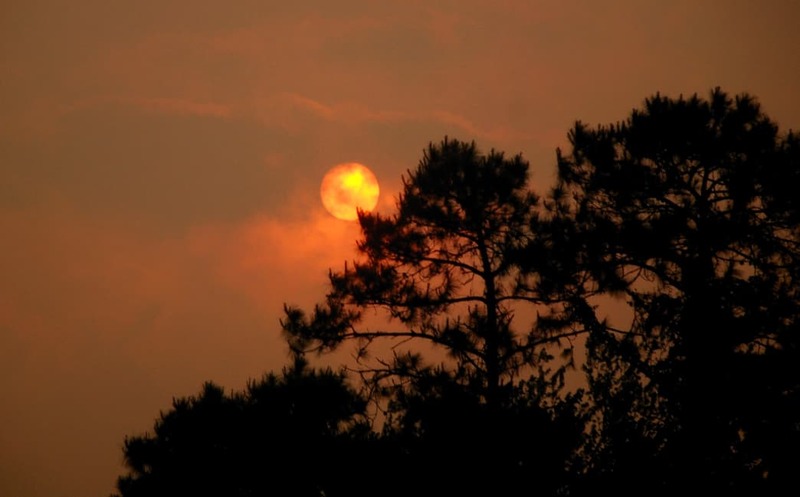 Nestled along the confluence of Goose Creek and the Pamlico River, Goose Creek State Park showcases a stunning array of coastal ecosystems, from cypress swamps to mixed hardwood forests. The park is also loaded with recreational opportunities including 8 miles of hiking trails and an abundance of recreational paddling on both Goose Creek and the Pamlico River. For a starry night away from the urban grind, pitch a tent in the park’s pine shaded campsites. Written by Malee Baker Oot for RootsRated in partnership with Visit North Carolina .